In this fifth installment of our Soil Therapy™ guidelines, we will look at two interrelated minerals that are so often overlooked in soils and plants around the world. Boron and silicon are anions that are stored on the positively charged humus colloid. We have lost two-thirds of our humus during decades of extractive agriculture and, as a result, these missing minerals must be addressed in all soils. Silicon is the second most abundant mineral on this planet. It is a principle component of rocks, soils and clays. However, mono silicic acid, the plant-available form of silica, does not reflect the abundance of the mother lode. In fact, it is screamingly deficient in the vast majority of our food producing soils. You may be unaware of the role of silica because it is not considered an essential mineral. In a few paragraphs’ time, you will understand that this has been a major mistake. All of us will benefit if our farmers can awaken to the protective potential of this neglected mineral. Symptom-treating, modern agriculture is based on a reactive approach to crop management. You watch for the symptoms of disease or insect attack and then you bring out the big chemical stick. In less than optimum conditions, this can be a very stressful strategy, and an enterprise based upon fear is not the recipe for peace and harmony in this short life. Nutrition Farming® is all about creating a proactive approach to pest management. Silicon management is a key player in this quest for proactivity. Silica strengthens the cell wall to help resist insects and disease. A more robust cell wall means stronger stems, and this can prove a major tool to prevent the losses associated with lodging. Xylem and phloem are the nutrient pathways into and around the plant. They are made of silica. Silica nutrition optimises these pathways and improves nutrient translocation. Silica can help neutralise excesses. It is an invaluable tool to counter manganese toxicity or the cell-drying impact of too much sodium. Saline irrigation water can be rendered much less damaging though the immobilisation of sodium with soluble silica. 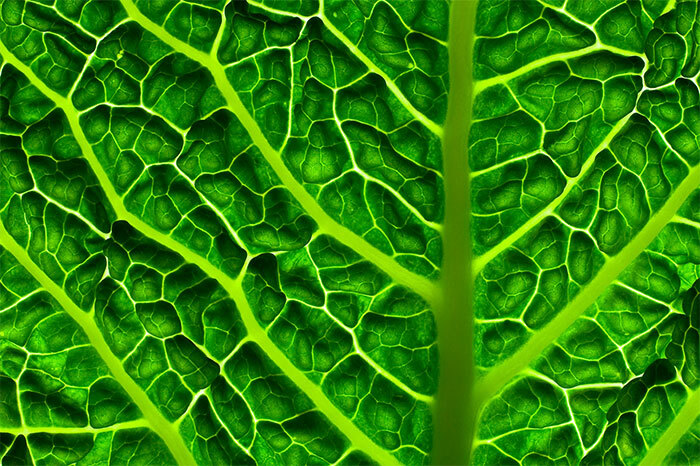 Silica can improve photosynthesis through better presentation of the leaf to the sun (the solar panel). Plants that droop at the first sign of sun stress are often silica-deficient. Silica is, in fact, a stress reliever on multiple fronts. The mineral increases resistance to biotic and abiotic stress. Silica-strengthened plants are better able to handle heat, cold, drought, transplant and predator shock. Finally, and most importantly, silica is an immune elicitor. Recent research has revealed that this mineral boosts the plant's immune response, so that it has more natural resistance to disease and insects. The exciting thing about all known immune elicitors is that they also boost yield, so applied silica can have a fertiliser-like response. The reason for the universal deficiencies in plant-available silica (according to soil tests) is not yet understood. It is assumed that it is related to chemical agriculture, because soils from organic farms usually measure higher. It appears that a group of unidentified organisms responsible for solubilisation of the abundant silica found in sand and clay have been compromised by unbuffered salt/acid fertilisers and farm chemicals. There is a tremendous silica response in hydroponics, because there is often no silica at all delivered in this soilless system. However, potassium silicate must be delivered via a C tank, as it is incompatible with the nutrients found in the A and B tanks. Powdery and downy mildew can be stopped in their tracks when silica is introduced. Silica can be applied to the soil or through the leaf, but the response is more rapid and cost-effective with the use of foliar sprays. We are seeking 100 ppm of mono silicic acid in the soil, but this is rarely found. Most conventional farms weigh in at 20 – 30 ppm and the levels are usually double this in organic or biological operations. Ideal leaf levels are not well researched. We have not yet seen a situation where high levels in the leaf (> 500 ppm) have proven anything but beneficial. Silica be addressed in the soil with silica-rich fertilisers like calcium silicate or diatomaceous earth, for a long-term, gradual release. When required for problem solving, there is a much more rapid response via the fertigation or foliar application of plant-available silica. There are two options here. Potassium silicate is a soluble silica source that can be applied to the soil or the leaf. Caution is required, however, because it is extremely alkaline and can burn the leaf surface if it is too concentrated, or sterilise the root zone if irrigation water is too alkaline. It is usually diluted at 1:300 for foliar application and applied at just 2 – 3 litres per hectare. In the soil, this rate can be increased to 2 – 5 litres per hectare, however care should be taken to monitor root zone pH. There is also an option for a buffered and boosted form of potassium silicate with the NTS product Photo-Finish™. Here, the alkaline soluble silica is both softened and magnified with a generous inclusion of humic acid, kelp and some proprietary ingredients. The other choice for plant-available silica involves a liquid suspension of diatomaceous earth (D.E). Diatoms are tiny creatures that once inhabited ponds and waterways in their trillions. They were entombed by geological upheavals and all that remains now is their outer shell, which contains 85% silica. This ancient accumulation is processed to create a cream coloured powder. This material is then milled down to around 10 micron particle size, and held in liquid suspension with special gums, resulting in a very versatile liquid fertiliser. 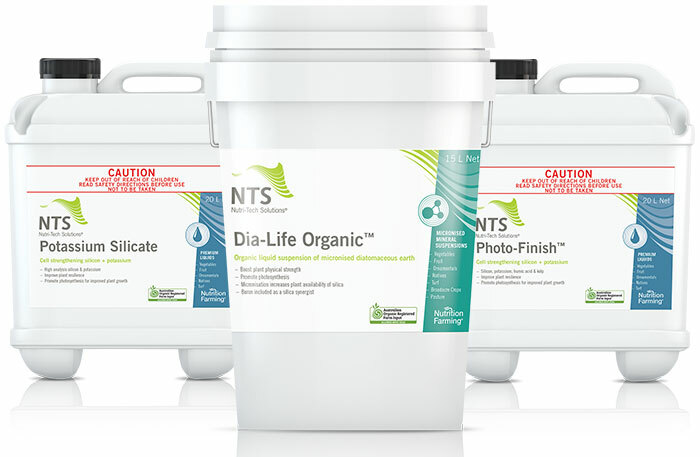 NTS was the first company to create such a liquid, with a product called Dia-Life Organic™. This unique input has rapidly become one of the most popular NTS fertilisers in 55 countries, because it is more user-friendly than potassium silicate. Dia-Life Organic™ is compatible with all other inputs so it is favoured by time-starved farmers seeking multiple inputs with every fertigation or pass of the foliar rig. Dia-Life Organic™ also has no problems with alkalinity and the micro-fine mist it leaves on the leaf can also serve as a buffer against sun damage. Dia-Life Organic™ is applied at 10 litres per hectare when fertigated, while 2 – 5 litres is sufficient for foliar application. Boron is the most important calcium synergist. In fact, calcium is seen as the trucker of all minerals and boron is the steering wheel. Calcium does not deliver its host of benefits in the absence of boron. Boron improves many aspects of the reproductive response, including the number of flowers, the flower to fruit ratio, pollination and the retention of flowers. Boron is also responsible for opening the trapdoor that allows the movement of glucose from the chloroplasts (the sugar factories) to the rest of the plant and the roots. If this trapdoor remains closed through lack of boron, there can be dire consequences. When there is no translocation of glucose to the roots and beyond, the army of organisms beneath the roots are starved of energy. The wheels fall off shortly after. Boron is the most leachable trace mineral, so there is tremendous gain in combining it with humic acid. The combination produces a boron humate, which can not leach. The uptake of boron is also enhanced by one-third, due to the increased permeability of cell membranes attributed to humic acid. Boron-deficient plants will present with symptoms like misshapen, irregular fruit, die-back of growing tips, hollow stems in broccoli, split carrots and incomplete filling of seed heads and corn cobs. There will also be an associated lack of resilience due to poor calcium uptake. Boron can be toxic to plants if over applied. The general rule of thumb relative to application rates is as follows: boron can be broadcast as borax at the rate of 25 kg per hectare in soils with sufficient calcium but that rate is reduced to 15 kg per hectare in low calcium soils. This equates to a maximum broadcast rate of 14 kg of Solubor in calcium-rich soils and 8 kg of Solubor in low calcium soils. Different rates are applicable when Solubor is fertigated or foliar sprayed, because we are applying the mineral in concentrated form directly to the root zone or onto the plant. Here, the fertigated rate is 1 – 3 kg per hectare and the foliar rate is 1 kg per hectare. In both cases, humic acid should always be included to stabilise and magnify the boron. Excess nitrogen will shut down boron uptake and high levels of potassium and calcium will do the same. Dry soils will also slow the uptake of boron. Several plant diseases are linked to boron deficiency and there is also a link to the presence of specific weeds. Boron levels should always be maintained above 1 ppm in the soil, but they should not exceed 3 ppm. Ideal levels in the leaf vary from species to species, but leaf analysis guidelines always provide a range that is considered "acceptable". We have found great benefit in shooting for the top end of the acceptable range and we refer to this as "luxury levels". Boron is part of a key group of minerals we call "the Big Four". The other players in this team include calcium, magnesium and phosphorus. The importance of these specific minerals is based on their link to photosynthesis and, like boron, we aim to achieve luxury levels of all four. If, for example, the acceptable range was 3 – 15 ppm for a particular crop, we would shoot for luxury levels of 14 ppm. There is an option available where boron has already been complexed with soluble humic acid in a user-friendly 2 – 5 mm granule. NTS Stabilised Boron Granules™ are a popular input in broadacre, pasture and horticulture enterprises. The granules comprise 3% actual boron, so there is ample room within this complex humic acid format for storage and magnification of other minerals with which the boron humates may be combined. There is a link between boron and silica availability in the soil that is really worth exploring. We have found that if boron is applied to the soil in late Winter, it can sponsor the solubility of otherwise insoluble silica in Spring. This plant-available silica builds the nutrient pathways into the plant (phloem and xylem), to allow improved access of the most sluggish mineral of all – calcium. One of the most productive and cost-effective of all strategies involves the foliar spraying of boron, immediately before flowering. This cheap, simple practice improves pollination, increases the flower to fruit ratio and ensures that seed heads fill to the top a little later in the season. 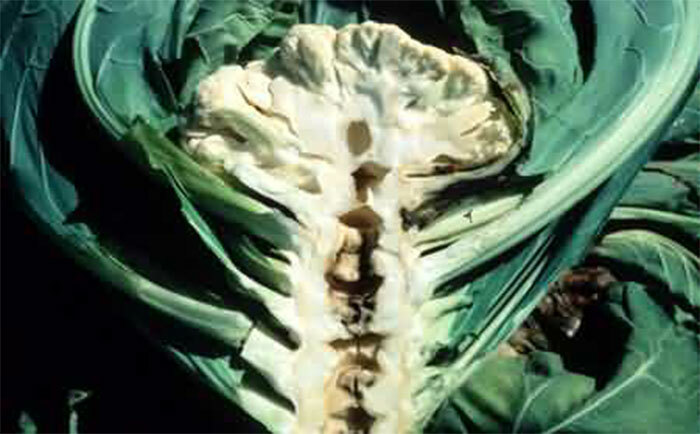 Boron can be foliar applied as Solubor (disodium octaborate), at rates of 500 g – 1 kg per hectare. However, it must always be included with humic or fulvic acid to create a stable boron humate that is absorbed 33% more efficiently. Next week, we will begin looking at the other trace minerals, beginning with zinc and copper. Until then, have fun with your farming. To read Part 6 of this feature, please click here. To go back to Part 1 of this feature, please click here.